Sunday, June 4th, 11 am to 3 pm, 35 Townhouse Road, Whitefield, Maine. 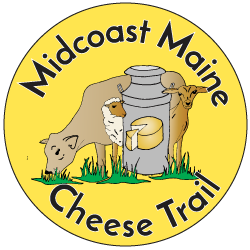 Please join us for our 4th Annual Open House, meet our fuzzy friends responsible for all our delicious cheeses, snuggle their kids and lambs, taste our award winning cheeses and feast on cheese, lamb and goat inspired dishes in the most dazzling farmscape backdrop of North Whitefield’s picturesque Sheepscot Valley. Kid friendly, open to all.